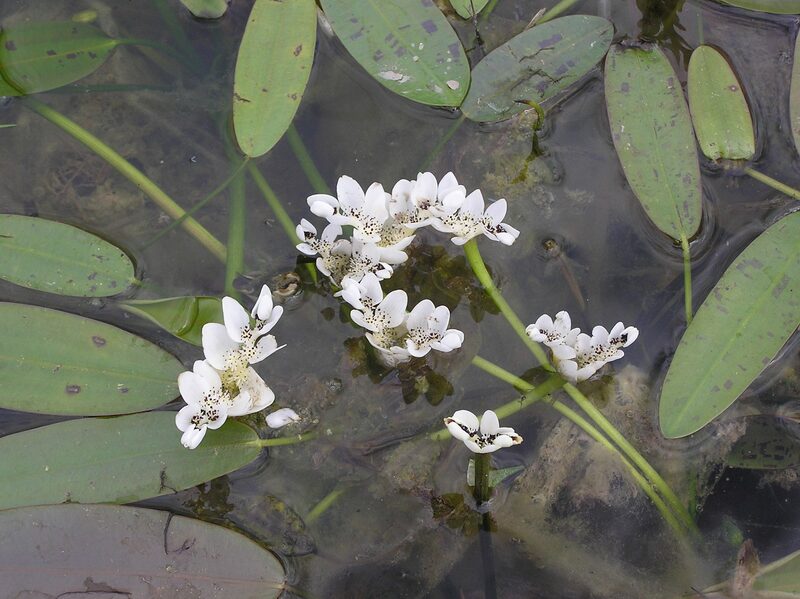 We get a lot of questions at this time of the year about what happens to pond plants as the weather gets colder. So we thought we’d talk a little about your pond in winter. 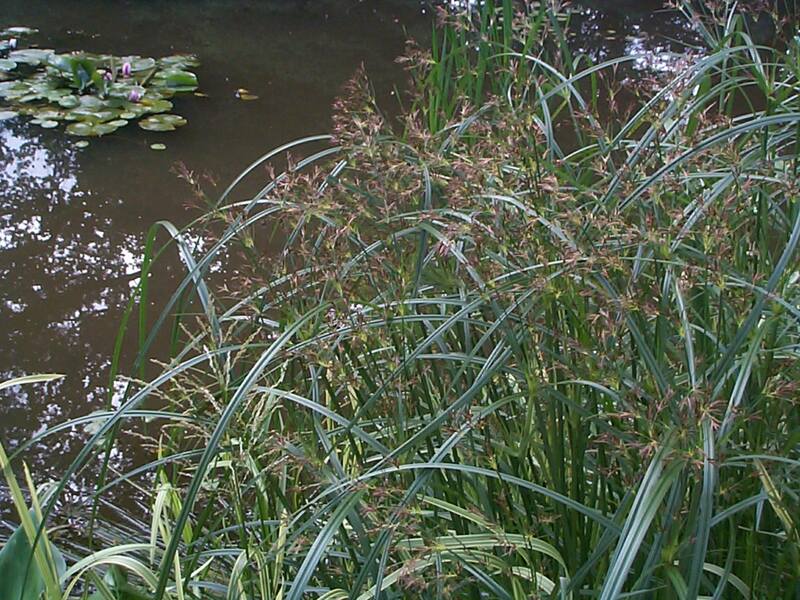 Although most UK pond plants are fully hardy, they are also mostly deciduous, so their top growth dies and goes brown in late Autumn. In the Wintertime, the leaves will die right back to the crown of the plant, back to where leaf stems end and the roots begin. The few varieties that are evergreen are reeds like equisetums and juncus, and all the Louisiana irises. 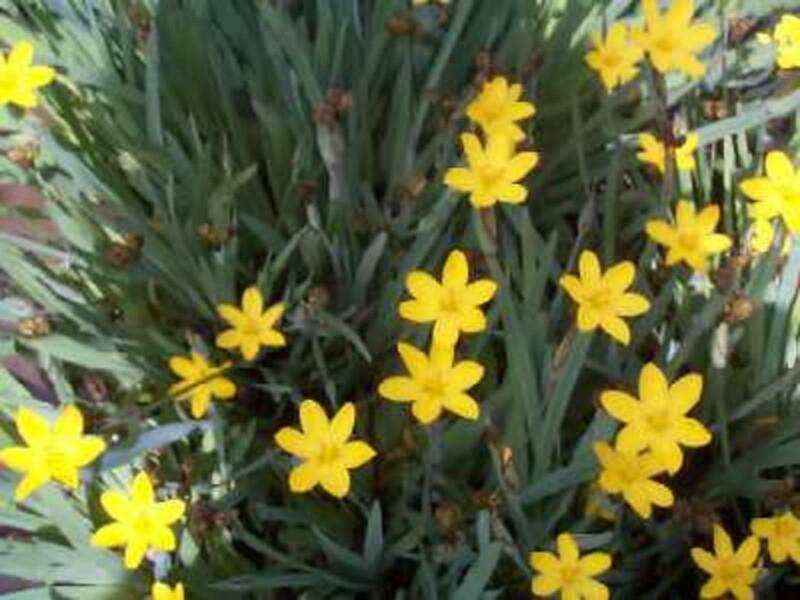 Other pond plants, like primula beesiana, caltha polypetela and sisyrinchium californicum (below) will all stay green in a mild winter, but leaves will die if the temperature stays below freezing for any length of time. 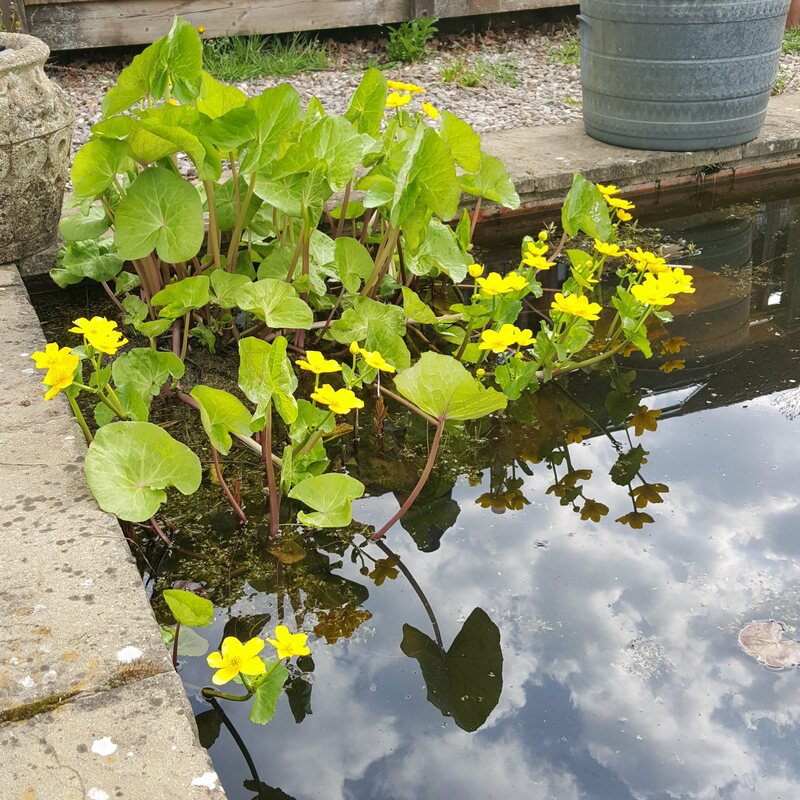 It is important for these and other less hardy pond plants to have a depth of at least 10cms water covering the crown over the winter. This will protect your plants in winter from all but the harshest weather. Water lilies are also deciduous. However, as they grow from a rhizome (thick woody stem) covered by at least 20cms water, the roots continue to grow even when the pond is covered in ice. Autumn is a good time to plant a water lily. The root system can then become established over winter, giving it time to get ready for an early start as the water begins to warm up in the spring. 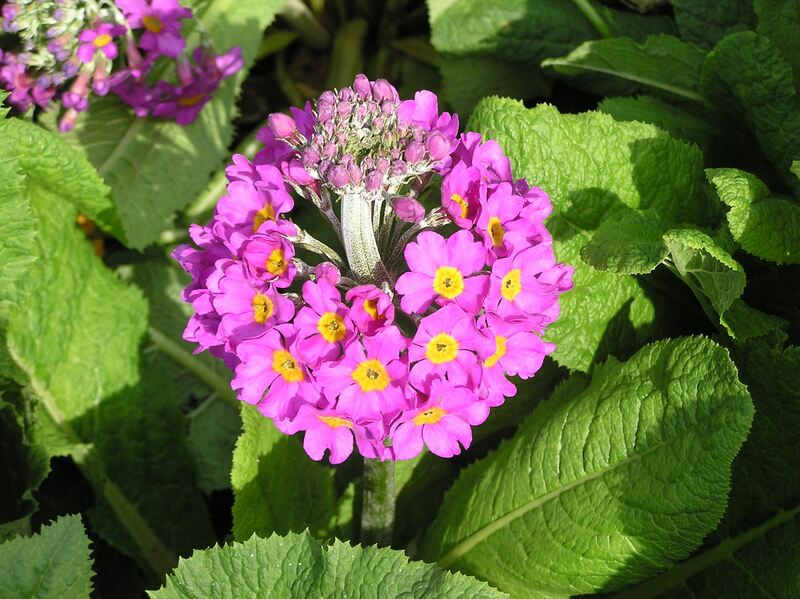 For most plants, Autumn is the time to have a bit of a tidy up to prepare for winter. You can cut browning foliage back to about 4cms above the water surface. 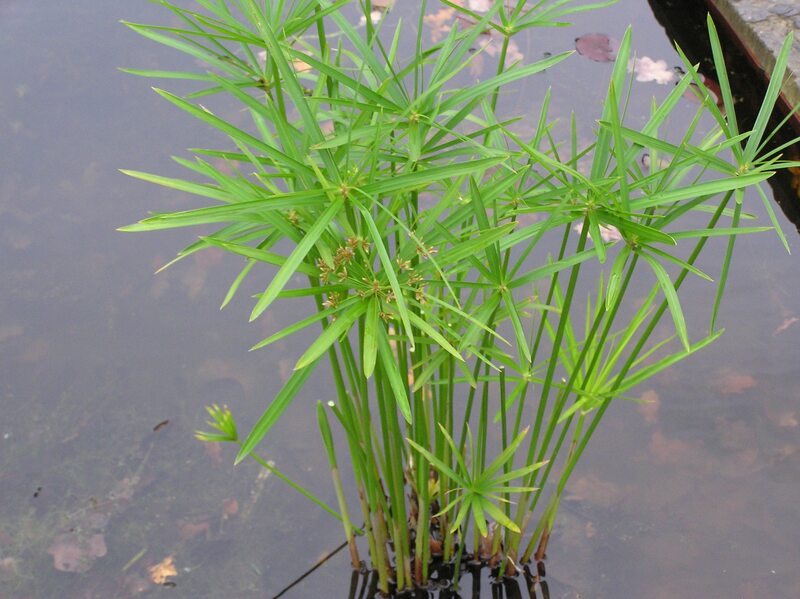 Don’t cut any stems back below the water level or the plants may drown. If you have a pond where the water tends to go up and down a bit don’t forget to take account of the normal winter rise in water levels. Some plants still look (and sound) great even when their foliage has turned brown and papery. Plants like cyperus involucratus, and cyperus longus can provide a lovely focus as they fade to deep brown, with their leaves and stems whispering in the wind. 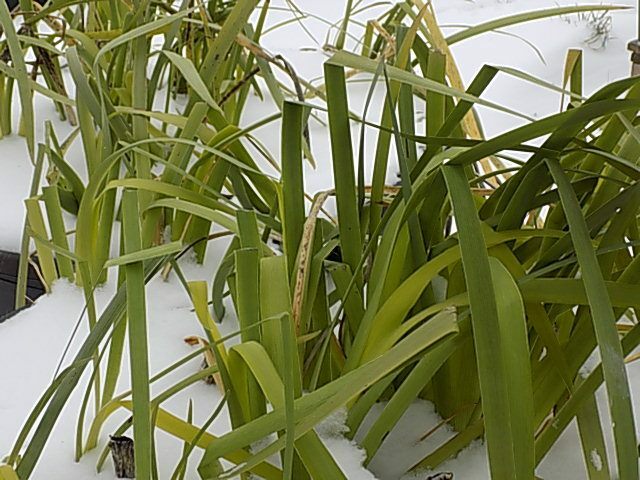 These plants together with evergreen reeds and Louisiana irises give interest to your pond in winter especially in the snow. There is always an exception to the general rule and for ponds this is aponogeton distachyos, the water hawthorn. Here is a deeper water plant that shrugs off the cold and will go on producing its beautiful, curiously shaped and highly scented flowers even on Christmas day! If the pond ices over, the flowers will be clipped back, but as soon as the ice melts, this little wonder will start flowering again.